Our bereavement department recently assisted with a tragic suicide in Hendry County. Shortly after law enforcement responded to the 911 call, they contacted Hope for our expertise in crisis counseling. A Hope bereavement counselor went directly to the home of the parents and sibling of the suicide victim. She spent time with each family member, supporting them through basic decision-making, referring them to helpful community resources and providing emotional support. 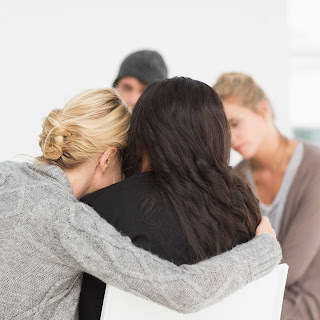 As other friends and loved ones arrived to the home, our bereavement counselor was able to offer assistance with their initial grief work. The next day, we went to the local middle school and high school, taking an active lead in communicating with the students and offering crisis management. We returned later for additional follow-up and provided individual counseling as needed. Hope’s bereavement counselors are on call 24 hours a day; they are able to respond to all crises in the southwest Florida community. Throughout the year, we work closely with local sheriff’s departments, victim advocates and school guidance counselors; however, anyone can make a referral for crisis counseling. Please call our main line at (239) 482-4673 or toll-free (800) 835-1673 for help.